 2014 INFINITI QX60 4D Sport Utility ***CLEAN CARFAX***, **NAV**, **REAR DVD**, **LEATHER**, **MOONROOF**, **ONE OWNER LEASE RETURN**, BLUETOOTH, ALL BOOKS AND KEYS, **REMOTE START**, **Back-Up Camera**, **POWER LIFTGATE**, **THIRD ROW SEATS**, 3.5L V6, Sport-Tuned CVT, AWD, Diamond Slate, Graphite w/Leather-Appointed Seats, 120V Power Outlet, 18" Split 5-Spoke Aluminum-Alloy Wheels, 2-Way Driver's Seat Power Lumbar Support, 4-Wheel Disc Brakes, ABS brakes, AM/FM radio: SiriusXM, AM/FM/CD/MP3 Audio System, Around View Monitor w/Front & Rear Sonar System, Automatic temperature control, Bose Cabin Surround Sound System, Dual 7" Color Monitors, Dual Occupant Memory System, Electronic Stability Control, Enhanced Intelligent Key Memory, Entry & Exit Assist, Exterior Parking Camera Rear, Front Bucket Seats, Front dual zone A/C, Front fog lights, Fully automatic headlights, Heated door mirrors, Heated Front Seats, Heated Steering Wheel, INFINITI Hard Drive Navigation System, INFINITI Voice Recognition, Leather Shift Knob, Leather steering wheel, Leather-Appointed Seats, Navigation System, Outside Mirrors w/Reverse Tilt-Down Feature, Outside temperature display, Power driver seat, Power Liftgate, Power moonroof, Power passenger seat, Premium Package, Premium Plus Package, Rain-Sensing Front Windshield Wipers, Reclining 3rd row seat, Remote Engine Start, Second & Third-Row Moonroof w/Power Rear Sunshade, Split folding rear seat, Spoiler, Steering wheel mounted audio controls, Telescoping steering wheel, Theater Package, Traction control, Wireless Headphones (2). Located in Sioux Falls SD, and serving Mitchell, Yankton, and Brookings, Dell Rapids, Lennox, and surrounding areas. Hello, I would like more information about the 2014 INFINITI QX60, stock# 8763. Hello, I would like to see more pictures of the 2014 INFINITI QX60, stock# 8763.